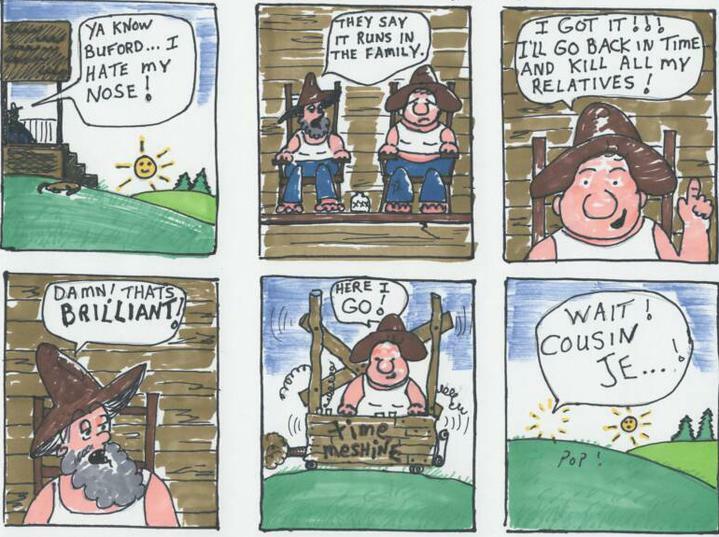 Funny Original Comic Strip - "Redneck Time Travelers"
Original Comic Strip - "Red Neck Time Travellers". A Hillbilly builds his own Time Machine out of wood. Oh Yeah, That could happen. Smart enough to build a Time Traveling Device but too stupid to know the consequences. Another Bizarre Cartoon from The Strange and Funny Mind of Tom Hoy! How do you end a party in a Trailer Park? Deranged, Demented and Stupid - "Redneck Time Travelers"